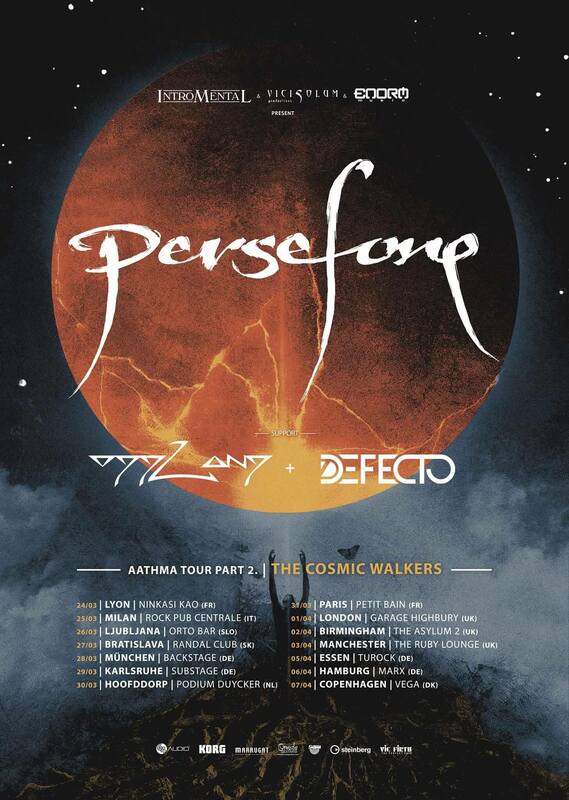 Andorran progressive metallers Persefone have confirmed the two opening acts for their “Aathma tour Part 2 – The Cosmic Walkers” 2018 European tour. Opening proceedings each evening, Defecto will be bringing their unique brand of progressive metal to the eager crowds. Having recently released their second album to high praises with their eclectic mix of Dream Theater and Metallica, they are sure to go down a treat each night. Snagging the main support slot, Finnish progsters Oddland will be bringing fans their dark and atmospheric approach to the progressive universe. Serving as a perfect antithesis to the explosive and aggressive boldness of the headliner, the band is thrilled to get the chance to once again present their great music to the European fans. The full list of dates can be viewed below. Tickets are available now from both the venues and trusted sellers.